You will be given a Free reference e-book to read which has 225 pages And the test will be based on that e-book. A paramedic refers to a healthcare professional who is greatly involved in emergency medical situations. Experts in this field are in charge in providing more advanced level of healthcare in case of trauma and medical emergencies. Most paramedics are based in various fields like emergency response vehicles, ambulances and specialized mobile units like cycle response. They are also responsible in providing diagnostic services and out-of-hospital treatments although there are also those who are in charge of undertaking duties and responsibilities that are primarily based on hospitals like the treatment of injuries. If you strongly desire to work as a paramedic, then be aware that you will be required to obtain a set of skills and knowledge to be able to efficiently perform your functions. You will need to improve your skills and expertise in managing spinal injury including safe transport and immobilization, managing fractures, obstetrics, management of burns, advanced airway management and routine medical equipment maintenance policies and procedures. The good thing about deciding to take and pass the paramedic certification exam is that you are now given the chance to fully understand the usual topics covered by it by enrolling in the free paramedic practice course available at Brainmeasures. Deciding to enroll in this free practice course allows you to access the company’s free paramedic study guide which tackles all aspects relevant to working as a certified paramedic. You will also enjoy its free practice test since it can help you in completely understanding what you need to do to take and pass the paramedic certification test. The free paramedic certification practice course offered by Brainmeasures is extensively developed so you are guaranteed of its ability to help you in strengthening your background about the field. 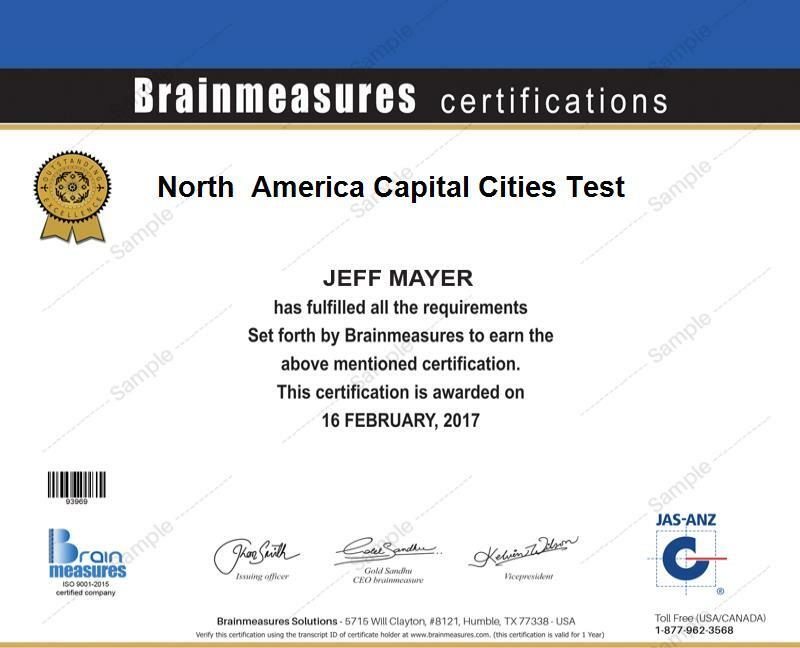 Considering the extensiveness of all the online certification courses and programs offered by Brainmeasures, you have an assurance that its free paramedic practice course is also filled with information necessary in your attempt to work as a real and certified expert in the field. Deciding to enrol in this practice course entitles you to use its free paramedic study guide which clearly talks about all the things that you need to know about being a paramedic. The study guide is filled with details that are essential in your attempt to learn everything that will allow you to easily and correctly answer all the questions that form part of the certification exam. The practice course is also accompanied with a free practice test which is a huge help in obtaining an actual feel of the certification exam environment, thereby guiding you in executing all the necessary preparations. The free paramedic certification practice course which is now offered by Brainmeasures is established in a manner through which it can benefit hundreds of individuals and professionals. You can expect this to be a huge help for all aspiring and existing paramedics, EMTs, physicians, health security officers, emergency department nurses, flight nurses and other health care professionals who are responsible in responding to emergency situations. Obtaining a passing percentage from taking the paramedic certification exam also works in enhancing your salary. Upon holding your certificate, you can start to apply for the position of a certified paramedic and receive a minimum of $55,000 every year. Deciding to work as an emergency services director can also benefit you financially because it lest you earn around $52,000 to $129,000 yearly.